How to create the wallet for ETH? 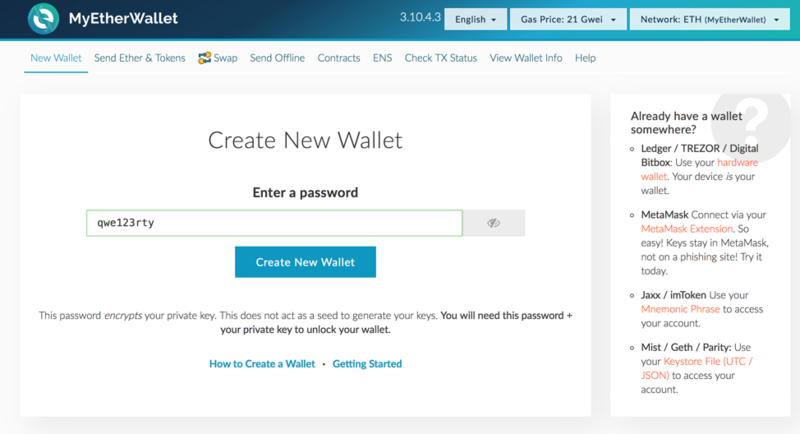 How to create new wallet on https://www.myetherwallet.com ? Create the password not less than 9 symbols; click on "create new wallet"
3. 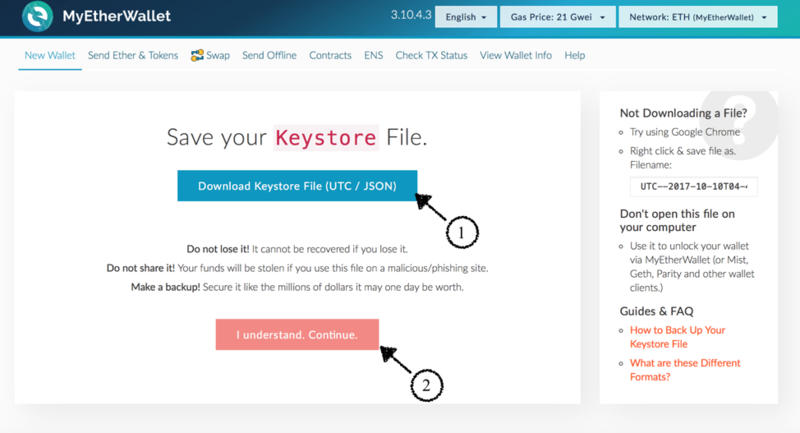 Download Keystore File (UTC / JSON) and save it. 4. On your screen you'll see "private key", you should make the backup of it. Please, do not lose it, it cannot be recovered. 5. 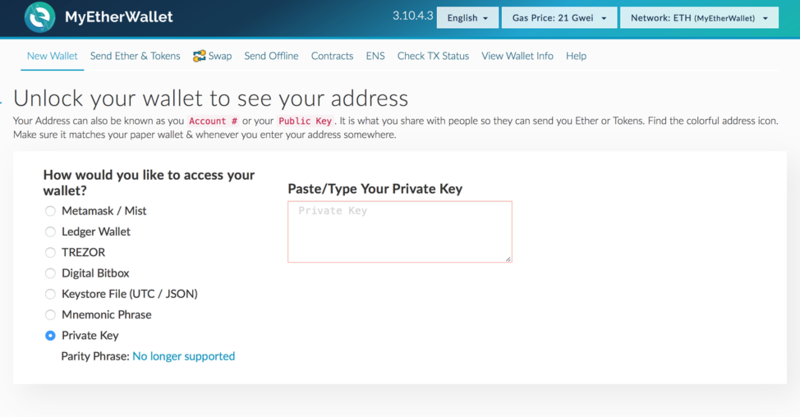 Access to your wallet by "private key", type it in the section on the right. 6. Click on “Unlock your wallet”. 7. You successfully created your wallet! 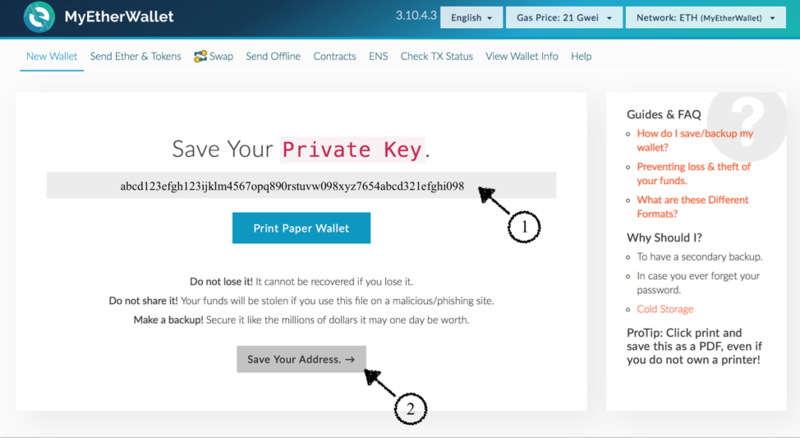 Scroll down the page, copy and save the address of your ethereum wallet. 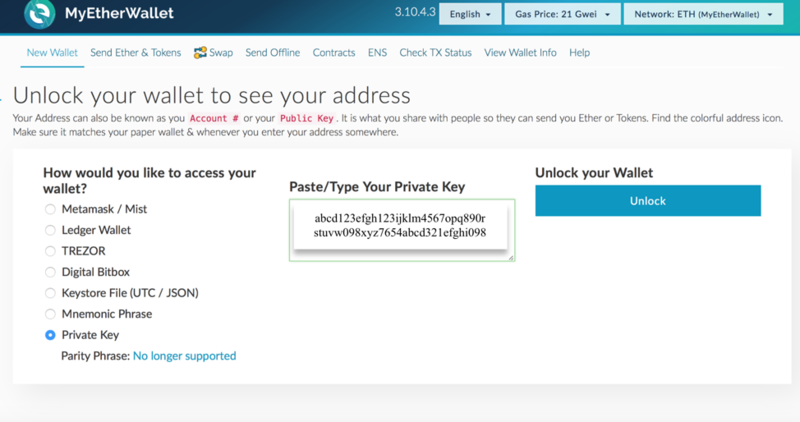 You have to enter this address in your personal account on https://crypto.tickets/ for displaying of purchased TKT tokens.